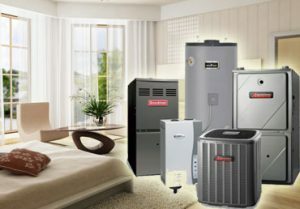 If you are looking to upgrade your old AC unit or install a complete central air system in your home or commercial unit for the first time, you’ve just found Niagara’s best HVAC installers for residential and commercial properties. Our mission is to get you the best central air conditioning system that is not only the most reliable and best priced, but also has the best warranty and cheap on repairs down the road. Have faith and confidence that you made the right choice – as what we install for you, we’ve installed for ourselves as well. Feeling cool air coming from a working air conditioning system is great, but everyone should get their systems checked to ensure that all the working parts (inside and out) are running at expected levels and not causing irreversible damage to your home or commercial property. Our central air inspection service will ease your mind that your AC system is not just keeping you cool, but also not burning a hole through your pocket from unnecessary adjustments that could have been made at the beginning of the season. 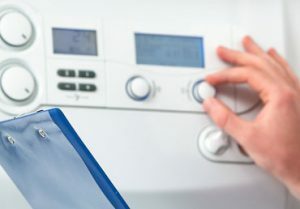 Ultimately, the key to having a great running and high efficiency (less costly) air conditioning system is to properly inspect and maintain it at the beginning, or ideally just before, the usage season. Many homeowners, unfortunately, fall victim of not having a working air conditioner at the time they need it because they didn’t do a proper check and make any repairs to their central air conditioner before hand. We are here to keep you cool and confident in your central air system! Integrity of our family-owned business reputation is important to us. Our mission is to focus on preventing costly repairs and unnecessary new central air system installations. If you can get another year or two out of a particular part or unit, we will work our best to make sure you do. The service and advice that we give to our customers is the same that we would give to members of our own flesh and blood. We will never recommend you to spend money that you don’t need to. Home Central AC System Preventative Maintenance & Inspection – Get Started Today! Don’t wait until you’ve done irreversible damage – Let us keep you cool and confident in your HVAC systems. To find out more information our our air conditioning inspection cost, call (905) 658-1214 now or fill in the form to schedule a quick visit which could save you thousands. Eventually, we all experience that dreaded moment when you set your thermostat to cold and either nothing happens or the fan starts blowing room temperature air through your house or place of business. Our friendly staff of professionally trained and highly experienced HVAC contractors will get to the root of the central air problem and get you back up and running! Is there anything you can before calling an HVAC repair contractor? If the issue is something simple, we encourage customers that have a little bit of knowledge and ambition to check on a few things. If the system is still not working, you will need to have us inspect the central air conditioning system to isolate and resolve the problem. We treat our customers like they are part of our own family. Our advice and workmanship is always based on the needs of the situation. Our goal is to maximize your AC efficiency at the lowest possible cost to you. We will never ask you to buy what you don’t need.